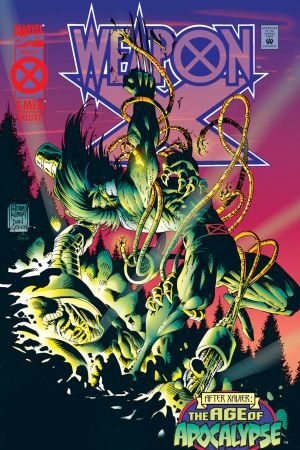 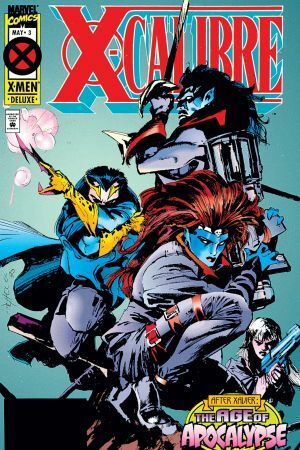 The mirror gets darker and the Amazing X-Men more Astonished by the minute as the Age of Apocalypse hits its third quarter! 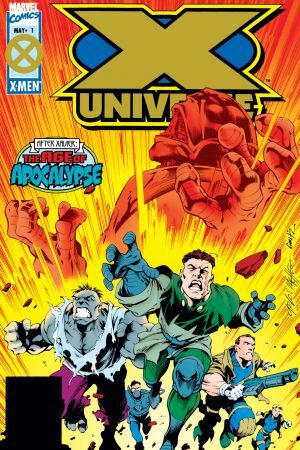 Magneto has dedicated his life to freeing humanity and mutantkind alike, but will Apocalypse now require him to destroy reality to save it! 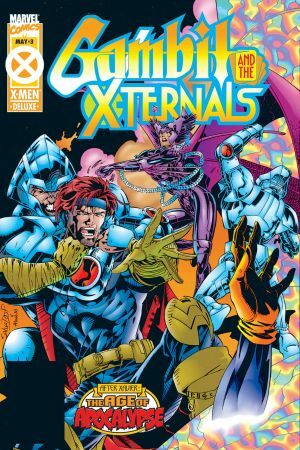 Sides are switched and secrets shown with repercussions ringing from the Savage Land to the Shi'ar Galaxy! 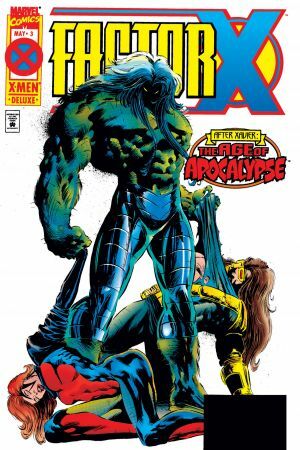 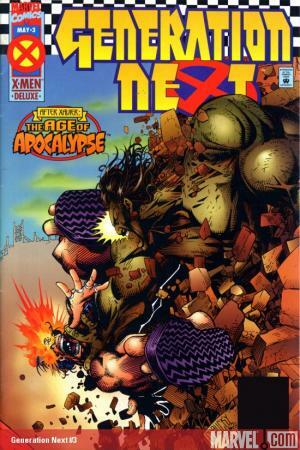 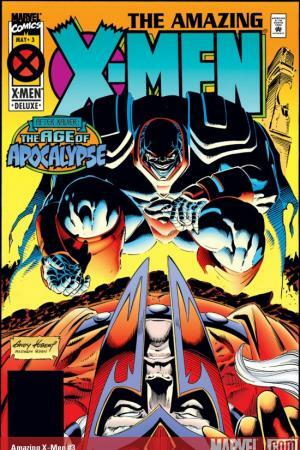 Plus: a rare look at how Apocalypse altered the rest of Marvel's mightiest! 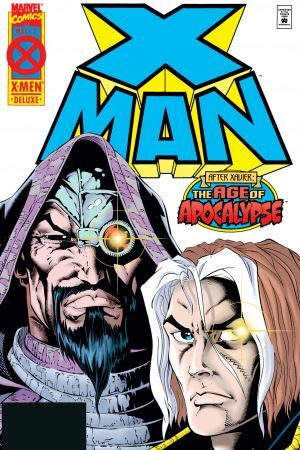 Doctor Doom and Reed Richards, side-by-side? 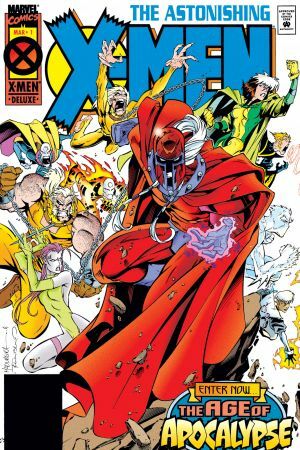 Matt Murdock and the Kingpin, allies? 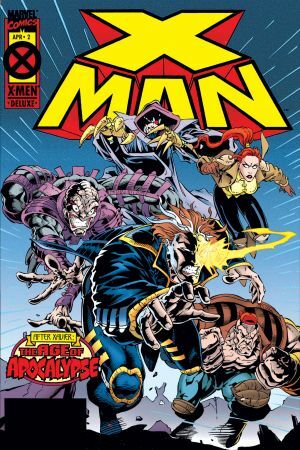 Gwen Stacy in mourning for Peter Parker? 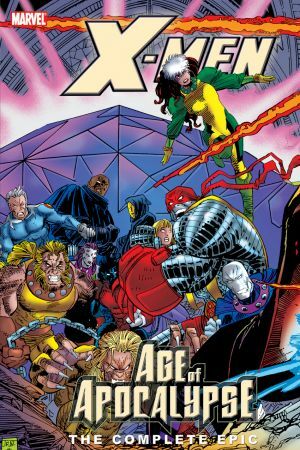 Avengers, Exiles, etc. 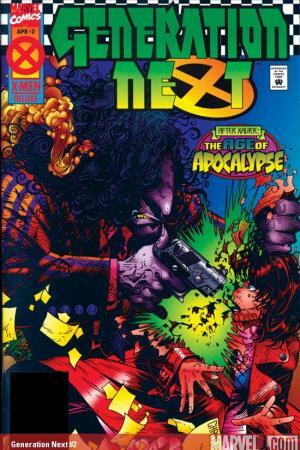 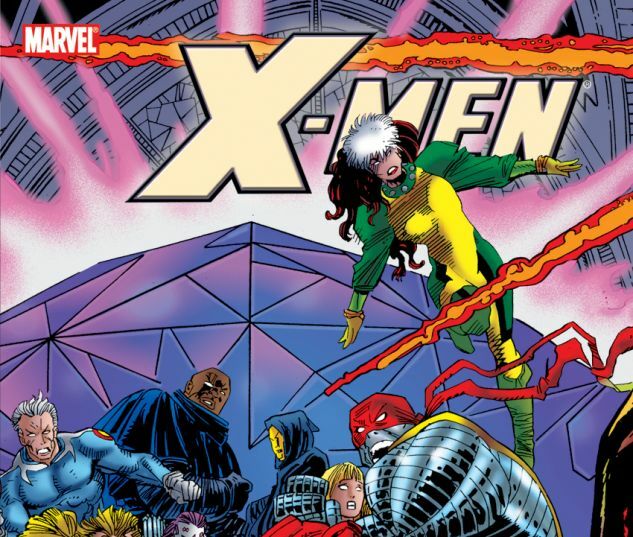 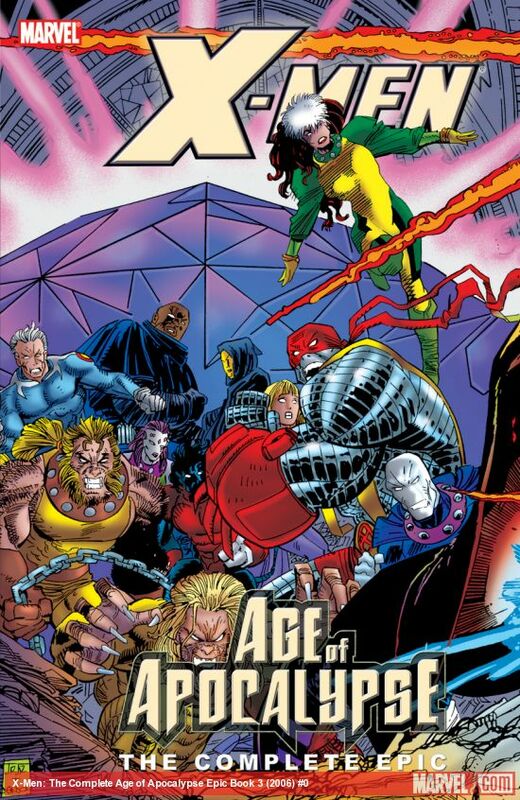 in the original alternate X-saga! 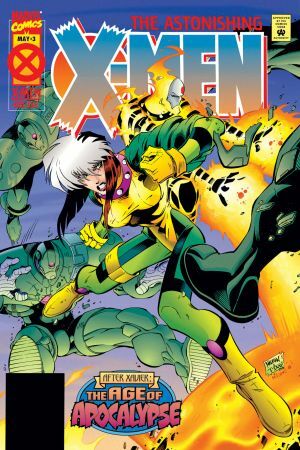 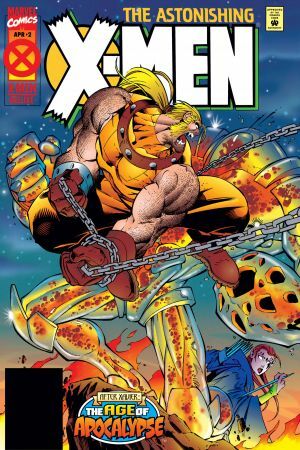 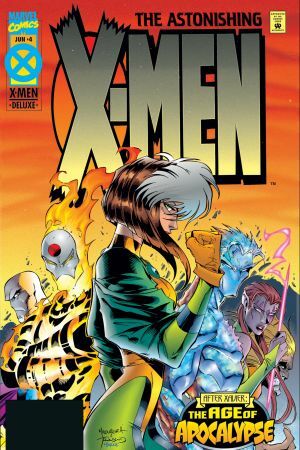 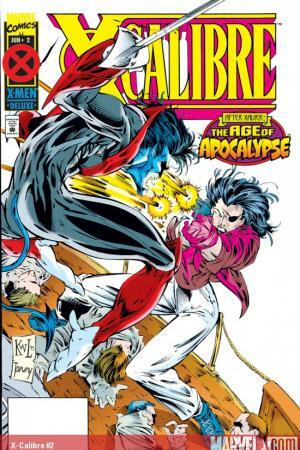 Collects X-CALIBRE #2-3, ASTONISHING X-MEN #2-4, GENERATION NEXT #2-3, X-MAN #2-3, FACTOR X #3, AMAZING X-MEN #3, WEAPON X #3, GAMBIT & THE X-TERNALS #3 and X-UNIVERSE #1.